From the Photographer: I’m really happy to be able to share Kaitlyn & Patrick's fall wedding with all of you. It was cold and windy but it didn’t slow the couple or their guests down at all! Kaitlyn & Patrick are an amazing couple, and they are obviously in love. 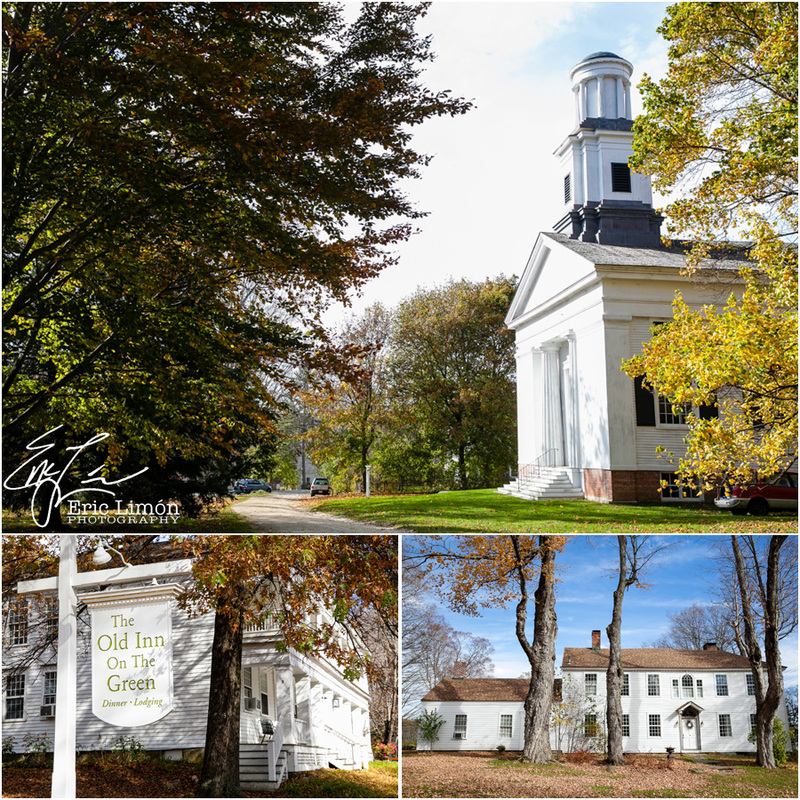 The ceremony was at the New Marlborough Meeting House, just a short walk to Gedney Farm where they had their reception. Kaitlyn and her girls decided to brave the cold for photos in the deep leaves. It was awesome! Even though it was cold and windy, they really wanted to be outside for their photos, and I’m so happy with how they came out. The reception space was so beautiful...one of Kaitlyn’s friends did the flower arrangements and she really nailed it. From the twinkling christmas lights to the apples and squash, no detail was overlooked. From the Bride: Patrick and I have collectively lived in more countries, states, and cities than we can keep track of; however, when it came to choosing a location for our wedding we both knew that New England (my homeland and his wanna-be-homeland) was truly the only fitting option for us. Despite the fact that we now live in San Francisco and knew planning a wedding from afar would not be easy, we couldn’t resist the lure of western Massachusetts’s Berkshires Mountains as the stage for our nuptials. 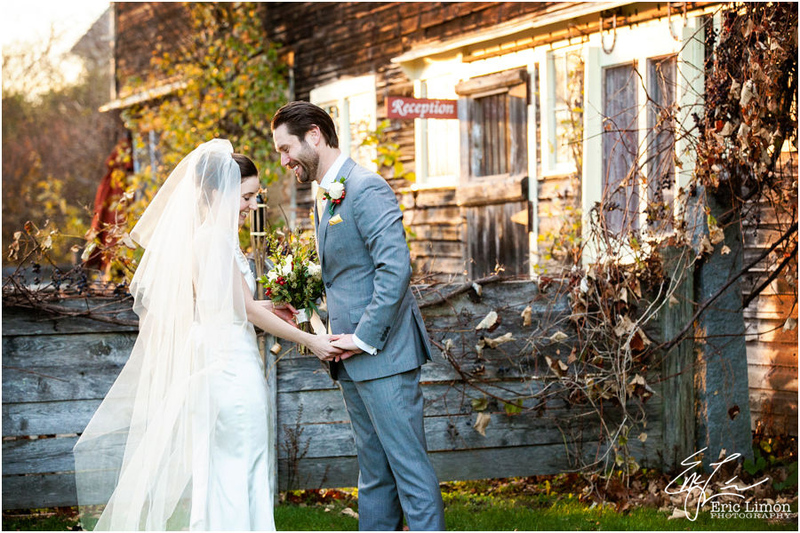 There is something exceptionally magical about the Berkshires in the Fall and so we chose to fully embrace the season, incorporating as much of its charm into our Berkshires wedding weekend as we could imagine. All the challenges of remotely planning a wedding within six months (yes - it’s possible!) melted away, as we saw our vision of a rustic celebration realized. 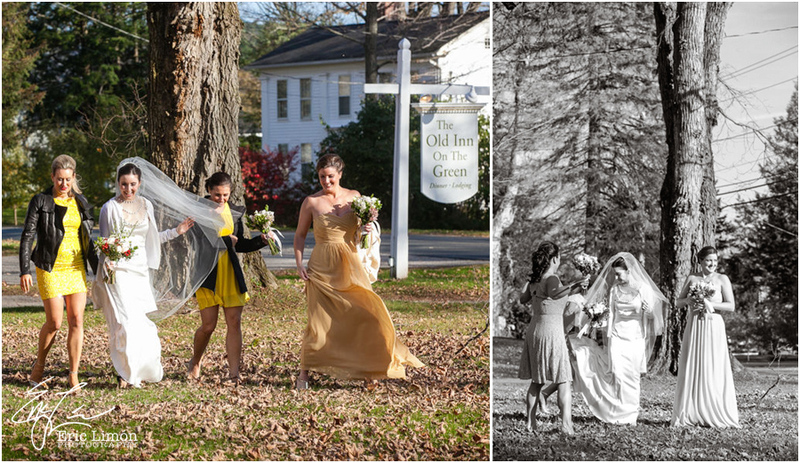 On the day of our wedding, we were greeted with classic Berkshire weather – bitter cold temperatures, but sunshine that illuminated colorful foliage creating the perfect backdrop for the day’s events and easily making the cold weather forgivable. Our main goal for the day was twofold: to ensure that our loved ones had an awesome time; and to create a day that reflected us as a couple. 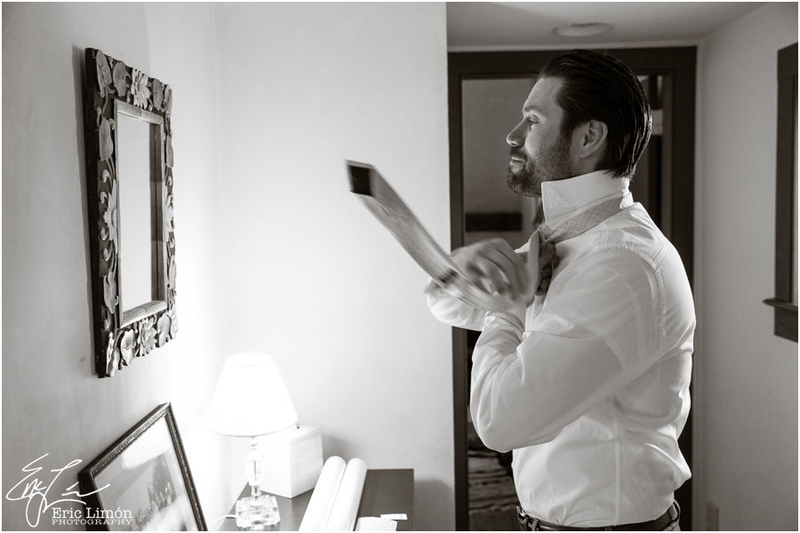 To make things easy on our wedding party, we gave the groomsmen, bridesmaids, and my bridesdude (my brother was technically one of my bridesmaids) a general dress code to follow but didn’t mandate strict attire. The guys all wore suits in varying shades of grey and my ladies wore dresses in different variations of mustard yellow. I ended up loving the end result; everyone looked coordinated but not too matchy-matchy. Additionally 3 of my 4 bridesmaids have already re-worn their dresses since the wedding – a rare achievement in bridesmaid land! 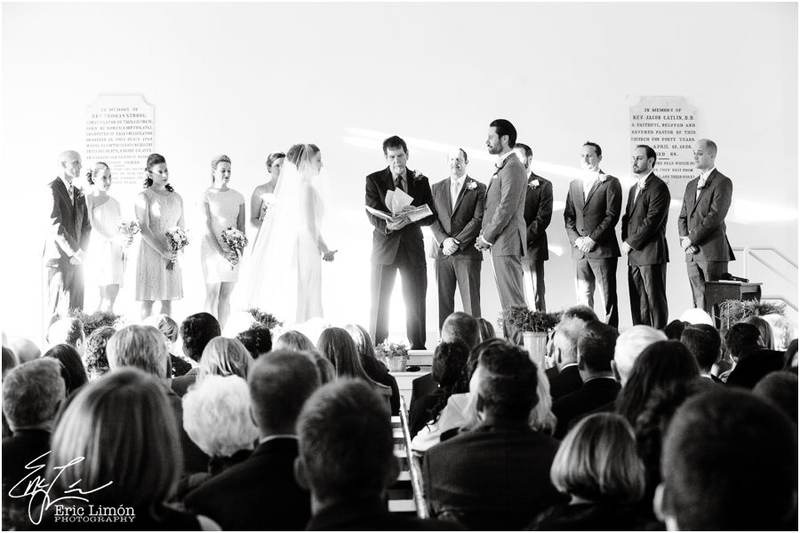 We chose to exchange vows in a small but beautiful 19th century chapel. A close family friend touchingly officiated the ceremony and his sermon was a true highlight of my day! For the readings we had friends recite poems by Robert Frost and Walt Whitman - two celebrated New England poets. 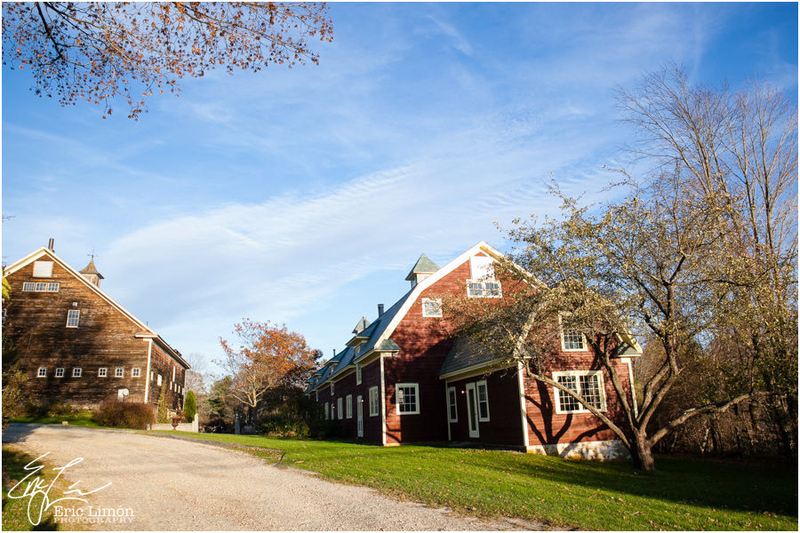 The chapel was just down the road from our reception venue Gedney Farm, a quaint farm-turned- bed & breakfast event venue. The Inn itself was very old-school. There is no TV nor WiFi, and cell phone service was at its best extremely spotty. It sounds daunting, and I admit I was super leery of a technology free weekend, but it ended up further enhancing the overall weekend. Everyone was able to fully enjoy the moment. However to help curb any potential technology withdrawal, we stocked the Inn with board games, decks of cards, hiking maps, a directory of local breweries, and of course whiskey – Patrick’s well known beverage of choice! 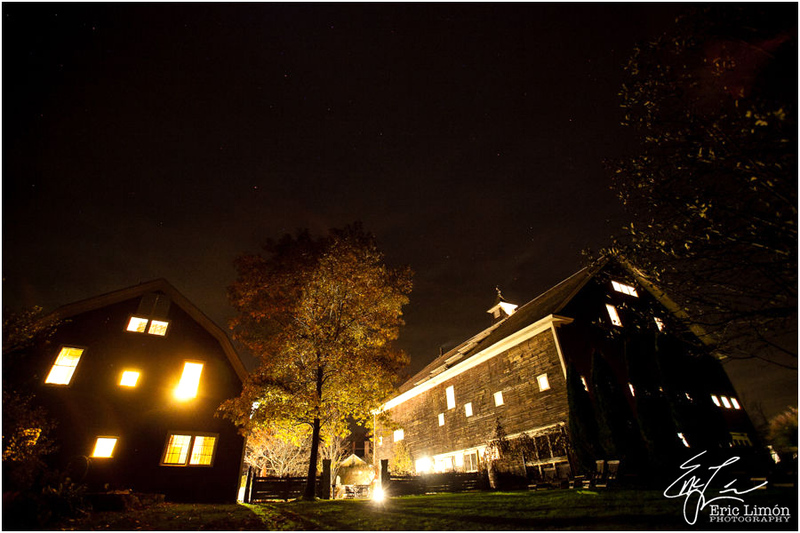 Aside from its idlyllic setting, we chose Gedney Farm because they offered on-site accommodations and in-house catering which meant I had two less things to orchestrate as I planned a Berkshires wedding from afar. We were able to work with Gedney’s chef to create an amazing menu that featured locally grown and sustainably farmed produce and meats – something Patrick and I really value. As our 110 guests arrived at the cocktail hour, they were greeted with music from a string trio playing classic hits from our favorite bands including the Beatles and Bob Dylan. Given it was the tail end of apple picking season, our signature cocktail was warm apple cider spiked with rum. My best friend from childhood handled the flowers and décor. Using a sea of candles, fairy lights, grape vines, and various white flowers she created a soft and inviting vibe. We added small touches like place cards pinned to apples and a table display featuring the wedding pictures of our immediate family and grandparents to make the wedding feel more personal. As a nod to how Patrick and I met - in line at a café – small burlap satchels of coffee served as our wedding favors. After feasting on delicious local fare, the dancing commenced and the party got real. Both Patrick and I have friends and family who are serious dancers so the dance floor was hopping for hours as the DJ seamlessly mixed classic rock, old school hip-hop, 90s jams and even a little bit of country. We only stopped for the cake cutting ceremony (which in our case was really a pie cutting) and the serving of the late night snack - an assortment of grilled cheese sandwiches that were brought out close to midnight. Thankfully, our incredibly talented photographer, Eric, was able to capture the love, happiness, and striking beauty of what Patrick and I will always remember as an enchanting day!